Iodized table salt is a good source of both iodine and sodium, and these minerals are essential for many bodily functions, including hair growth. Furthermore, if you become deficient in iodine, you may develop hypothyroidism, and one of the symptoms of this condition is hair loss. On the other hand, getting too much iodine and sodium can have adverse effects on your health. Talk to your doctor about the amount of salt you should consume. Without enough iodine, your thyroid cannot function properly, and this can lead to irregular hair growth and even loss, as well as hypothyroidism. It is rare for a person in the United States to develop a iodine deficiency, since this mineral is found in table salt. But if you do develop hypothyroidism, you may experience such symptoms as fatigue, weight gain, dry skin, muscle pain, depression and constipation, as well as thinning hair. To avoid this, adults should get between 120 and 150 mcg of iodine a day. The primary source of iodine is table salt, and you can also get it from shellfish, garlic and sesame seeds. Salt also contains sodium, which helps your body maintain its balance of fluids, as well as transmit communications between your nerves. Additionally, your blood volume and blood pressure depend on iodine to stay regulated. This helps keep your body functioning at its best, and proper bodily health is essential for proper hair growth. However, there are no known direct associations between sodium intake and hair loss. Sodium chloride, which is found in table salt, is the most common form of sodium, and 40 percent of salt is comprised of this mineral. You should consume no more than 2,300 mg of sodium a day, which is the equivalent of 1 tsp of table salt. While both iodine and sodium are essential for proper health and hair growth, eating too much salt and building up high levels of these minerals can be dangerous. Too much iodine can actually inhibit your thyroid’s production of hormones, which can in turn result in hypothyroidism and subsequent hair loss. Getting more than between 160 and 600 mcg of iodine, or what you would consume from salt, can be harmful to your health, and doses in excess of 2,000 mcg can be toxic. More than 2,300 mg of sodium can result in high blood pressure and fluid buildup, as well as increase your risk of stroke and heart disease. 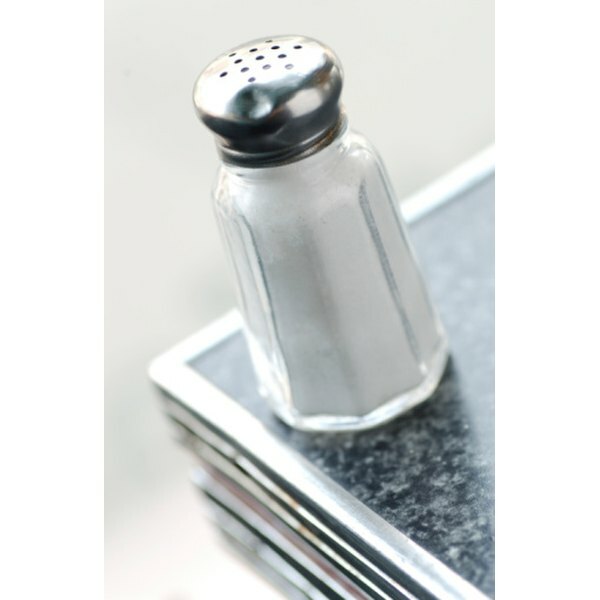 If you are experiencing hair loss, it may not be associated with your salt intake or lack thereof. Your health care provider can help determine the cause. See your doctor if you have noticed any changes in your hair growth, or if you suspect you may have a deficiency of iodine or sodium. Additionally, if you have any symptoms of hypothyroidism, seek medical attention as well, as this can be a serious condition that requires medical treatment.